Go onto the scheduler and on the left hand side you will see a list of locations, choose the location you want to re-order. 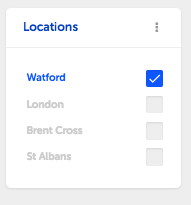 If this location is not your top store, you must select the top store and the location you want to re-order, or drag and drop the location to the top. 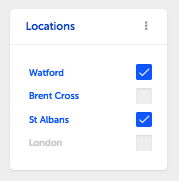 This will open a new modal, where it'll give you the option to choose which location to re-order and allows you to choose between Custom, Alphabetical or Position. 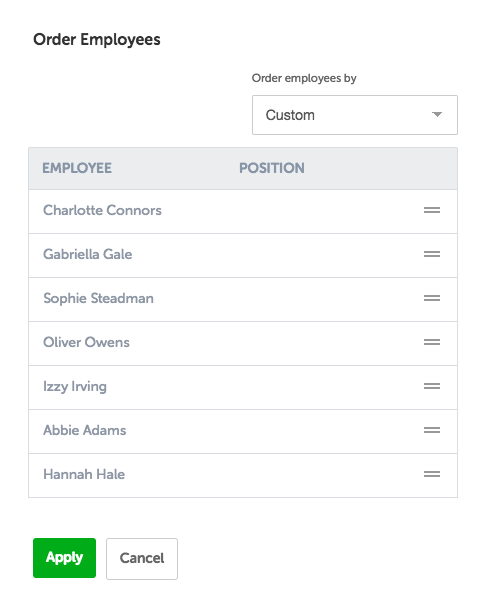 Custom allows you to reorder employees through manual drag-and-drop to whatever your preference is. 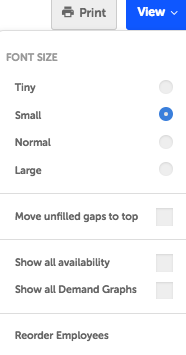 Alphabetical and Position will rearrange in these orders but you are able to still manually make adjustments.